This past weekend I was fortunate enough to perform with a festival orchestra in Lintgen, Luxembourg. The ensemble was made up of players from a number of countries, with a large contingent of Canadians (or players with Canadian connections). Usually when I perform in a concert which is quite a distance from Switzerland, the orchestra is made up of players who I haven't met before. While there may be one or two familiar faces, for the most part I'm the odd one out in an ensemble made up of performers who have been playing together in various formations for years. It's a sort of impersonal experience: you do your work, play the concert, have the beer, and maybe make a few connections along the way. This weekend was different. The ensemble, styled Les Goûts-Réunis, have been performing in the festival rencontres musicales de la vallée de l'Alluette since 2014 and were described to me by one of its regular members as an ensemble which exists 'to have a good time with friends and play a concert'. While I had met a few of the musicians before (three of us studied together in Basel and I had played in Montreal-based groups with three others) I was surprised how quickly I fell in with the whole ensemble. There were numerous 'dots to connect' with a number of players: common friends; the Montreal scene; the Schola; even the timpanist, a native of Calgary, asked me right out if I went to Canterbury High School! Working with them was a real change of pace. The breaks weren't just a time to decompress, they were alight with conversation. We were also lucky that on three occasions the whole ensemble had a meal together which, along with a gathering the night before the concert made for a really memorable project. As an added bonus, we played at a high level! 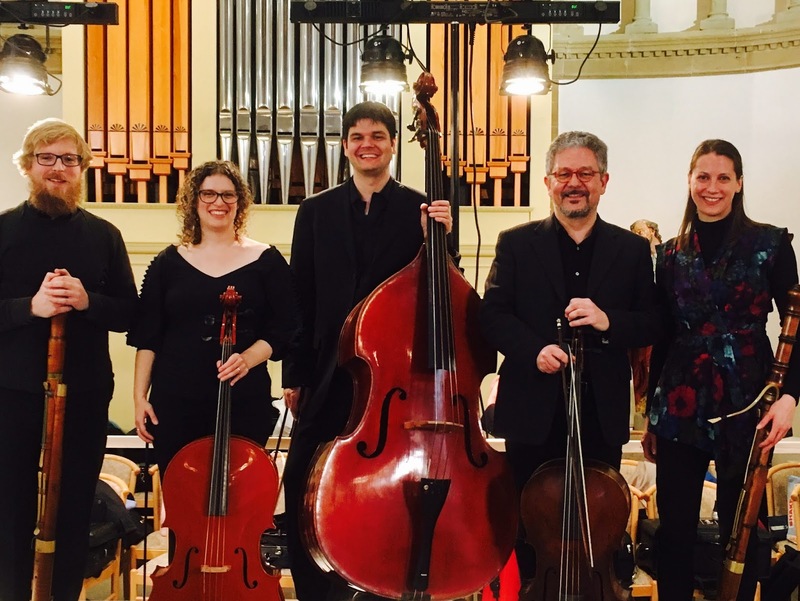 Both socially and musically, the continuo section came together very quickly, which made for a real stress-free experience. Almost everyone I had played with in other formations before, but not all in the same section. What made the program special for me was that half of it I had first performed in my veryfirst tours with EUBO. Coincidentally, those first EUBO programs had been rehearsed in Luxembourg. There was a real feeling of being 'at home' mixed in with nostalgia for another time. This was especially the case when rehearsing "The King Shall Rejoice" from Handel's Coronation Anthems. Coming home on the train, I really felt that this was no ordinary project. I do hope that I can be a part of it in the future!